Place the frozen chicken in a lined slow cooker. Shake the ranch dressing mix over the top. Top the chicken with both blocks of cream cheese, then cover and set to cook for 8 hours on low. minutes before serving time, shred the chicken and mix the cream cheese in with everything in the slow cooker. 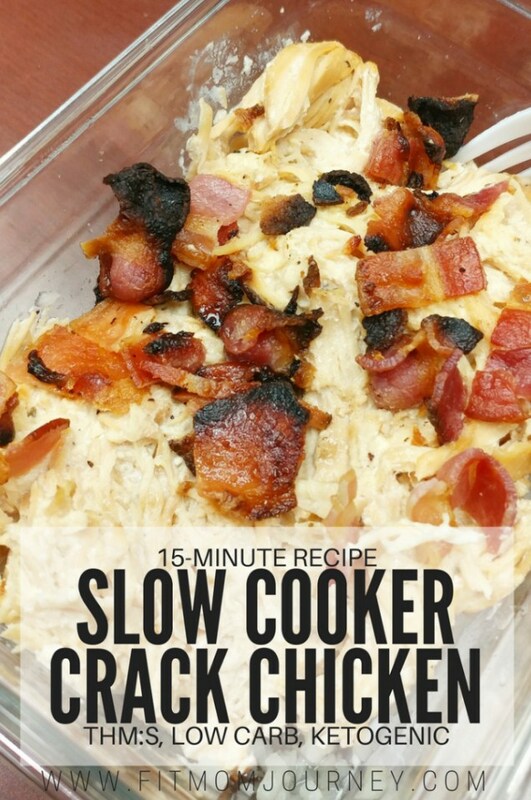 Microwave the bacon (directions linked above), then crumble, and stir into the chicken.